Oh So Heavenly Scent Sations in Vanilla, L.A. Girl Matte Flat Finish Pigment Gloss. This month, I’ve been experimenting with some products I don’t usually go for. I’m one of those girls who once I’ve found a product I love, I swear my allegiance to it and hesitate to try new things. Granted, I’ve deviated a couple of times from ol’ faves before but definitely not as much as this month. And I’m having fun! So it’s a plan for me to stay experimenting, discovering and pushing myself to keep trying other brands if something in one brand doesn’t work for me (read: matte lippies). The thing I love most about this month’s faves? They’re all affordable goodies. I’m not a big foundation user. Ever since I started wearing makeup, I’d try all sorts of foundation but just never quite liked it. Until now. This foundation is so smooth to apply and sets on my face naturally. It doesn’t have a caked-on finish, rather it gives my skin a dewy kind of look. Another thing I always struggled with when it came to foundations is finding the right colour for my skin. About 5 years ago, there was only one brand that I found made face makeup with the right undertones for Black women. The rest had an ashy nature about them – not cute, and also only offered one or two shades for darker girls. So I’m really glad there are more options out there for us and from brands like L’Oréal that I’ve been using everything else of for years. Just like the other Infallible products, once this is on, it stays on – until you remove it in the evening of course. My favourite thing about this is that I forget it’s on. Major gripe about foundations is I’d be so aware that they’re on my face, but this one just feels like a BB Cream with more coverage. Love. I know good eyeliner. It was the first and only makeup item my mom allowed me to wear as a teenager so I mastered this item quick stuff. 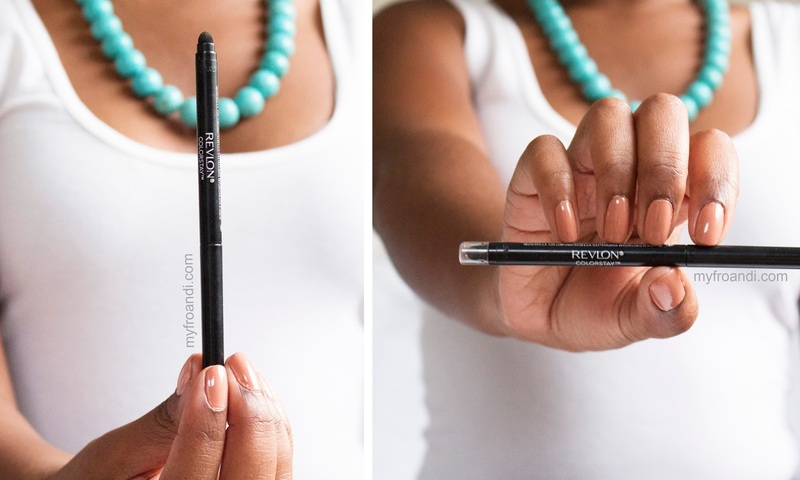 Revlon’s Colorstay liner is great eyeliner. I’ve been using it everyday for the past two months and I’m not even halfway through it. The pigmentation of the black is so deep, it’s perfect for dramatic eyes and plays really nicely with eyeshadow. It doesn’t disappear when you apply it over an eye colour. It has a sponge tip on the other side so you can easily create a smokey look for even more drama. The thing I love most about this? It doesn’t smudge! It’s not waterproof so don’t think you can hit the gym with this on (if you’re that kind of girl) but it stays on your eyes, not up your lids. GREAT eyeliner. I’m currently obsessed with L.A. Girl. This brand is so budget friendly you don’t even feel bad grabbing a couple of items just before pay day. I got one of these lippies last month and I went back to get two others (Bazaar, Dreamy and Stunner). I’m reminded by a couple of my friends that I recently declared I’m over matte lipsticks. They’re not for me, I’ve tried everything but no. Almost as soon as I said that I became obsessed with trying out new mattes, refusing to accept defeat and thankfully I came across these. Tip for fellow dry lip owners: exfoliate regularly and make sure to apply lip balm before bed and before applying the matte lippie. I’m not gonna lie, I used to look past this brand at Dischem mostly because the packaging and branding looked a bit cheap, but I then saw a couple vloggers raving about it so decided to give it a go. Don’t judge a book by its cover Aisha. Lesson learned. Anyways, these lippies are creamy glosses that go onto your lips smoothly then dry matte. 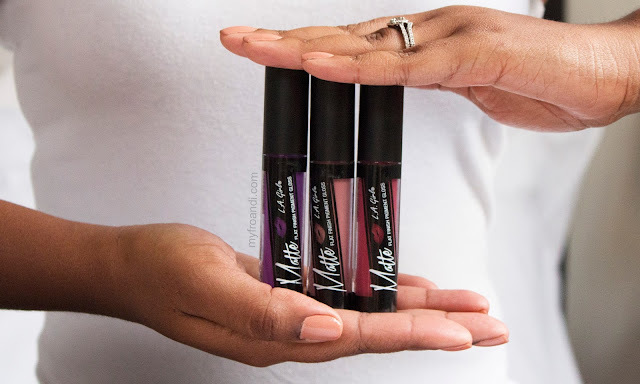 I love that they’re that easy to use and don’t apply already matte which has given me issues in the past. 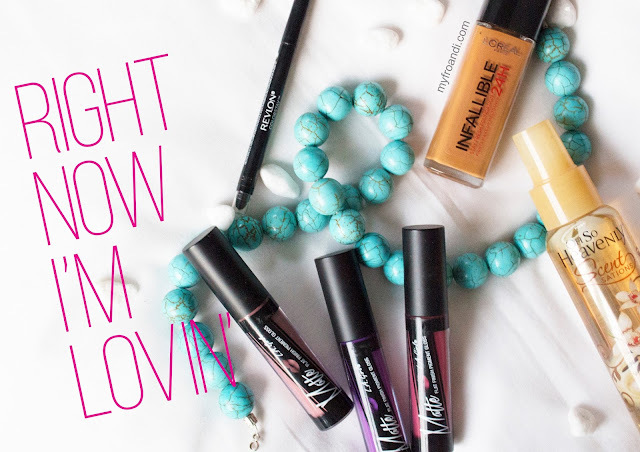 They’re so highly pigmented you barely need another coat – just be sure to not smack your lips together once they’re dry. On an average day I’d re-apply once and I’m good to go. Affordable, packs a colour punch and lasts. Ding, ding, ding jackpot! Womp womp product: Ummm, none for this month! got myself dreamy one. LOVE! 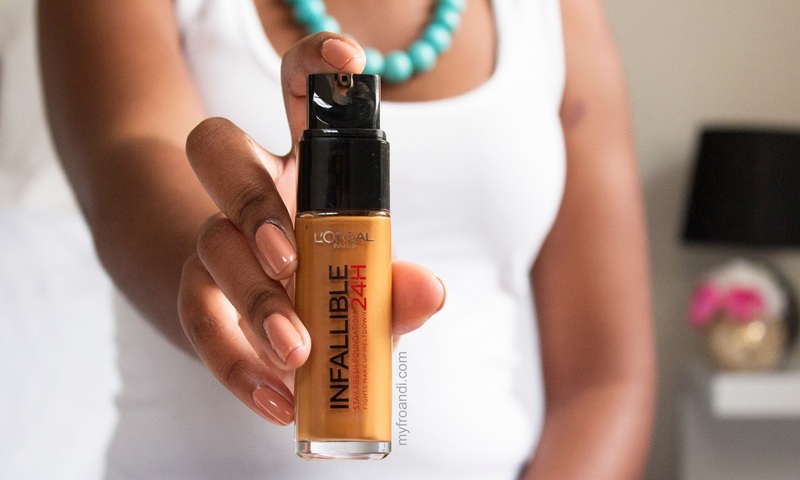 I also love the Infallible foundation, got a sample and loved it, now I use it! Yeah, it's awesome. Got my eye on their matte version too hehehe. Thanks Lerato. It's Wet n Wild's Private Viewing. LOVE!